I recently discovered an online shop called Metal Marvels and ordered a pair of black druzy earrings. Love them! They are a bit out of my comfort zone because I usually wear studs, but they are so cute and I've received a lot of compliments. Plus at $20 they are priced really well. Needless to say, they're my new go-to jewels. And if that wasn't a pleasant enough experience, I can't rave enough about how fast shipping was! I ordered them at night and they were in the mail the next day. I appreciate that. There are a bunch of adorable, and affordable, items in the shop so be sure to check it out. And while you're at it, why don't you enter my giveaway hosted by Metal Marvels? I have TWO fantastic items up for grabs. 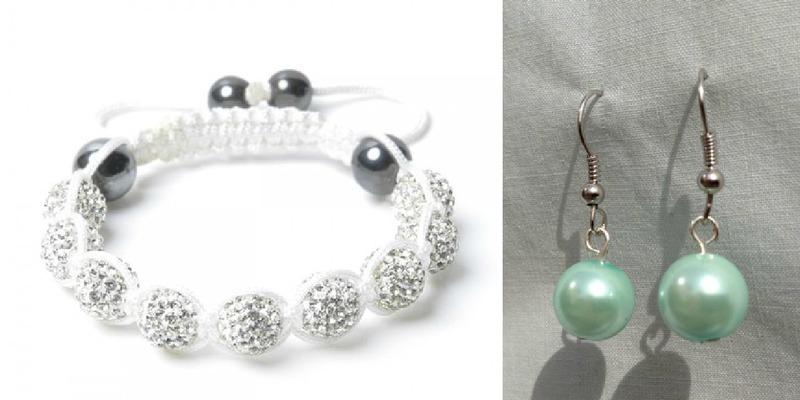 One lucky winner will take home the White w/ White cord bracelet and a pair of pearl earrings in their choice of color! Enter the giveaway below. And please be honest with your entries because I do check! One winner will be selected and announced on Thursday, January 31. Good luck!! 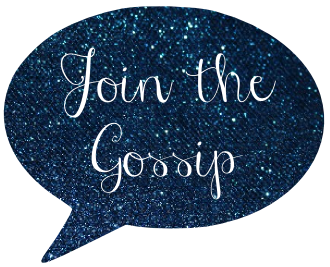 Linking up for Tell Me About it Tuesday! I may order the black earrings but it wouldn't hurt to win the other items too! I love the purple druzy earrings. Such a great design. I love the Open Arrow Rhinestone Bangle! I love the cord bracelet and the pearl earrings in the color you're showing. They both pop! LOVING the stone earrings in MINT. So pretty! I love the Druzy Stone Earrings in Navy!! They are beautiful! I like the dainty gold heart necklace! I love the black druzy earrings. And the arrow bangle is super cute too! 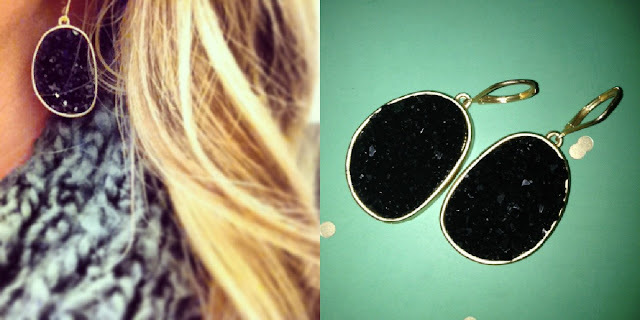 I love the black druzy earrings you have! Thanks for hosting! Wow!! I'm really in love with these earrings! I can see why you love them so much! Def a staple piece!!! I do love their Dainty Gold Skull necklace. I truly love those earrings. I love the Purple Druzy Stone Earrings! I'm obsessed with earrings. Love these bad boys. Great giveaway! I love the druzy navy earrings! Fingers crossed!! wow! loveee this! i love the Open Arrow Rhinestone Bangle! Great giveaway! I hope I win! Thanks. The Shamballa inspired Disco Ball Rhinestone Bracelet in White. Gorgeous earrings, thanks for telling us about this shop and hosting this Fab giveaway. I am in love with the pink chandelier stone earrings. Oh girl, I need those black druzy earrings.. love them! I like the gold bead disco ball bracelet and the gold studded bracelet! I love those earrings! Both the ones in the giveaway and the ones you are wearing! Open arrow rhinestone bangle, multi colored owl necklace and the black spike studs! Definitely the white chord bracelet you're giving away! So hard to choose! Def the Druzy Stone Earrings in Navy. the arrow rhinestone bangle is super cute! I'm loving those black druzy earrings! I normally wear studs, if anything, but I love your earrings! My favorite is the wishbone necklace! LOVE the black earrings! They are so prettyy!! Just entered the contest! I hope I win! I love them all, but my favorite are the Druzy Stone Earrings in Mint! Love em! I like the gunmetal spiked bracelets. I love Katie and her store! I got my first package from them and LOVE everything...I'm dying for the druzy earrings in Navy! So beautiful. I adore the druzy stone bracelet in purple also!